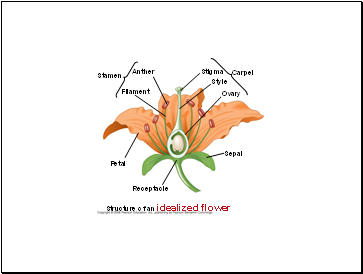 Angiosperm flowers can attract pollinators using visual cues and volatile chemicals. 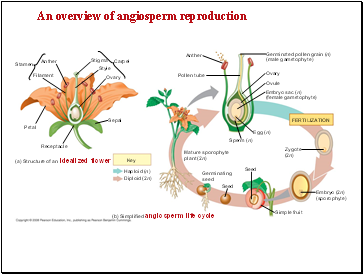 Many angiosperms reproduce sexually and asexually. Symbiotic relationships are common between plants and other species. 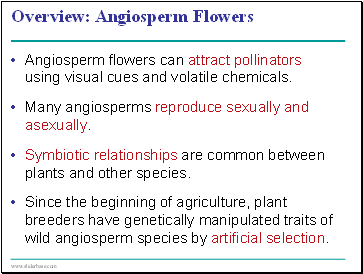 Since the beginning of agriculture, plant breeders have genetically manipulated traits of wild angiosperm species by artificial selection. 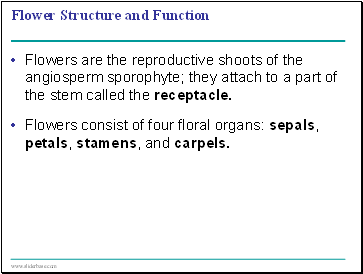 Diploid (2n) sporophytes produce spores by meiosis 2n ---> n these spores (n) grow into haploid (n) gametophytes. 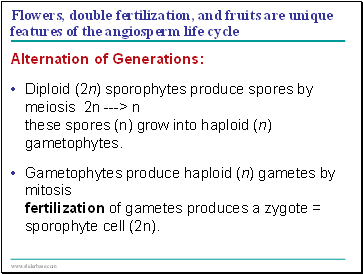 Gametophytes produce haploid (n) gametes by mitosis fertilization of gametes produces a zygote = sporophyte cell (2n). 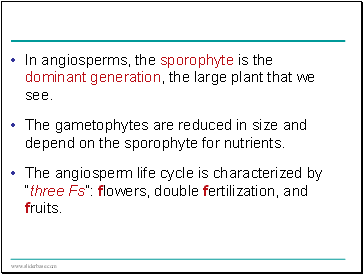 In angiosperms, the sporophyte is the dominant generation, the large plant that we see. The gametophytes are reduced in size and depend on the sporophyte for nutrients. 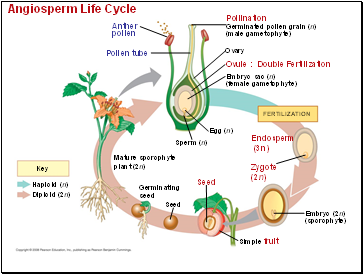 The angiosperm life cycle is characterized by “three Fs”: flowers, double fertilization, and fruits.